Do you look at your competitors search engine listings with jealousy, wishing you could have the fabulous rankings that they effortlessly seem to achieve? Perfect Websites can help you beat the competition. Your site is well conceived, interesting and attractive. Unfortunately, that's not all that it takes. Having top search engine listings is important for any company. A good search engine ranking results in many visitors and sales, without any top 20 ranks you probably spend a lot of time and effort on your site, without anybody ever being able to appreciate it! The world of search engine optimization to an outsider can look pretty confusing, and unless you have some basic knowledge on the topic, you can easily miss out on some great optimizations. 95% of users don't look further than the first 3 pages of search results. Most people try searching for a different keyword phrase or a different search engine all together, rather than click past the first 10 results. How can your business succeed if you're not found there? 30% of users believe companies found in the top search results are a major brand in their specific product or service category. SEM (search engine marketing) raises your online profile and builds brand awareness. The internet industry is full of self proclaimed search engine optimization specialists. The hard part is to find a specialist who truly has the expertise to make a difference. We have a proven track record of success. 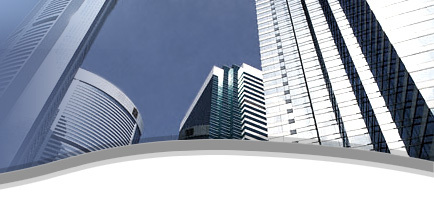 Every client our specialists have ever worked with is on the first page of the search engines. We will show you several of web sites and you shall see them in the top positions. Proof is in the pudding as we say, and we can back it up. searches every day. Please understand that every search engine has different ranking criteria and algorithms. 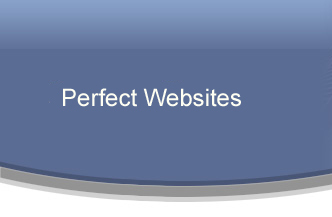 Perfect Websites understands the process and has the expertise required to achieve long term results and higher rankings against your competitors, build traffic and gain profitable sales. Our firm knows the secrets to search engine positioning techniques that will rank you higher than your. The ranking methods of Google, Yahoo and MSN change approximetly every three months, so our Perfect Webistes team can offer you monthly maintenance packages to make sure you stay up on top even though the search engine algorithms change. Search engine optimization ensures long-term success. The magic in making a site rank well lies in the site's readability. Websites that are easy to read and navigate have a better chance of ranking well. As a search engine optimization specialist, our firm is all about getting top rankings on Google, Yahoo and MSN. To make major money on the web, you have to get lots of online traffic. A good search engine optimization specialist will use all of the researched keyword phrases by recreating some of your individual pages on your site. The specialist will create proper SEO text for each of the keyword phrases. If you fail to take this approach, you will be missing out on the massive traffic available on the web. Perfect Websites search engine optimization services include affordable search engine optimization internet marketing. We have proven success in getting the search engines to find your web site. This search engine optimization process can take 12-16 weeks to be fully realized, the sooner you start optimizing your site the earlier you will see results. Let Perfect Websites help get you a top listing - call us today!